Use our Chrome Browser Extension to quickly launch Screencast-O-Matic. 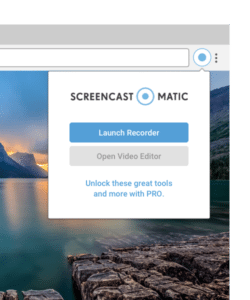 Whether you’re on your PC, Mac or Chromebook, Screencast-O-Matic has made it easier for you to start recording your screencasts when you launch through the Chrome browser. It’s a universal experience! This newest feature will help you save time by giving you the ability to launch from multiple devices (PC, Mac or Chromebook). Click here to get the extension located in the Chrome Store. Once installed, click the extension icon to start recording. PC and Mac users also get a handy screenshot tool with the extension. 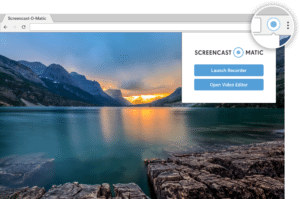 Easily create, share and experience video with Screencast-O-Matic!